I wore new shoes. I went in a new route. I walked mindfully. I noticed my thoughts. I soaked in the sun. I basked in the warmth. I thought about spring, about practice, about life. I wore new shoes. I got a hot spot on my heel. 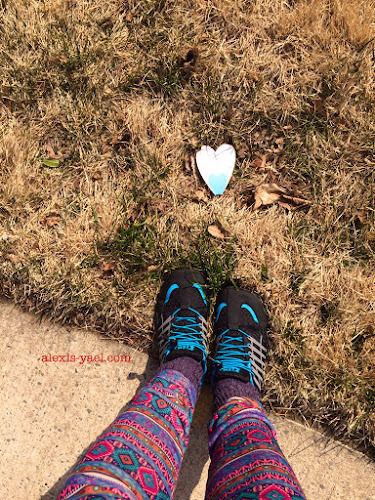 I walked mindfully around my own neighborhood. I watched my feet, I watched the ground, I watched the sky. I basked in the sun as dozens of cars drove by. I wore new shoes I paid for two years ago. I saw two other walkers who did not nod or smile. I smiled at the sun, the sky, the ground, my shoes. I smiled at the end of the month of February.